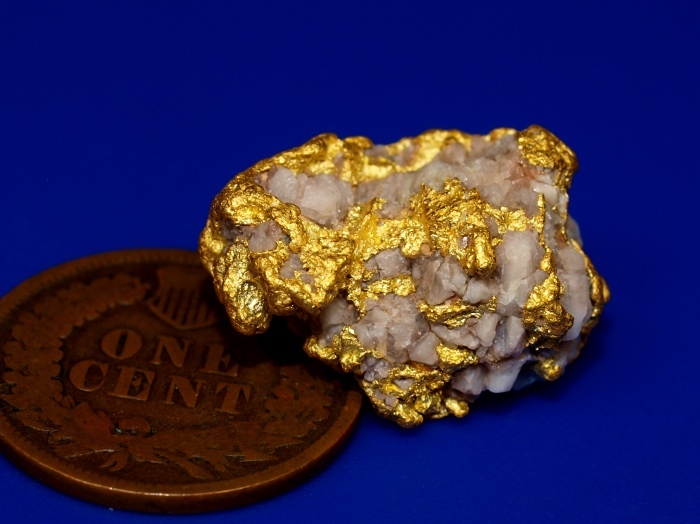 This is an exceptional piece of raw gold in quartz that was recently unearthed in Western Australia. 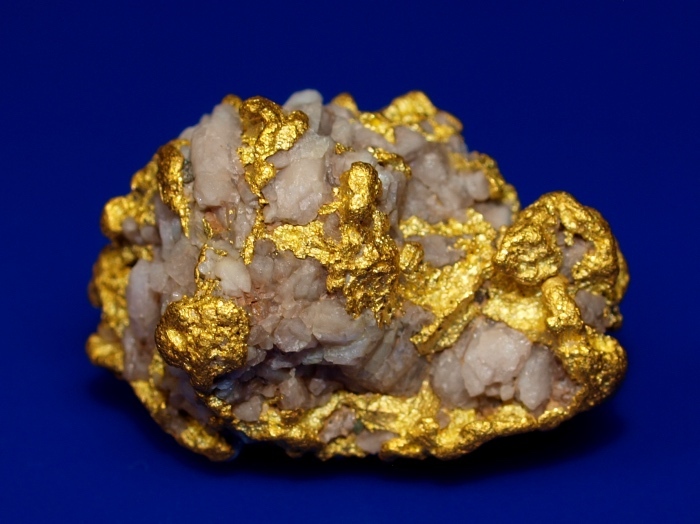 As you can see it has a lovely matrix of raw white quartz and brilliant gold mixed throughout. 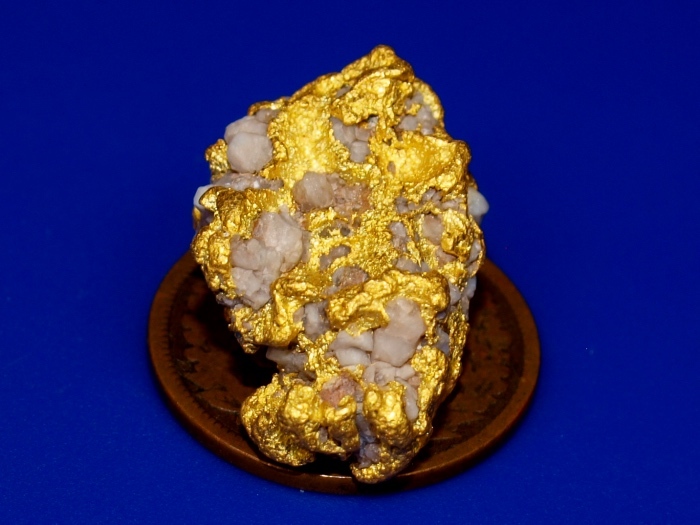 The total weight of this specimen is 8.82 grams and it will make a lovely addition to your mineral collection.